(WESTERN JOURNALISM) Secretary of State Hillary Clinton’s expected signing of the United Nations’ Arms Trade Treaty has once again raised the question of whether the terms of a treaty can take precedence over—even nullify—the rights acknowledged and secured by the Constitution of the United States. For decades, apostles of one-world government have endeavored to convince the American people that treaties, rather than the Constitution, embody the supreme law of the land. In 1952, Secretary of State and Council on Foreign Relations member John Foster Dulles told the American Bar Association that “Treaty law can override the Constitution.” “Treaties for example…can cut across the rights given the people by their constitutional Bill of Rights.” But the Supreme Court has more than once decided against the propaganda of the new world order crowd. 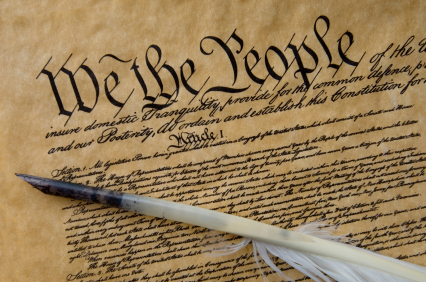 In the landmark case Reid v Covert, the Court ruled”…no agreement with a foreign nation can confer power on the Congress, or on any other branch of Government, which is free from the restraints of the Constitution.” In short, as “[the Supreme] Court has regularly and uniformly recognized the supremacy of the Constitution over a treaty,” the Constitution remains the supreme law of the land, and treaties may neither supplant nor amend it. Would a re-elected Obama follow Roosevelt’s example by pressing the Arms Trade Treaty on the American public? Certainly, the Eric Holder Department of Justice would have no compunction about enforcing this latest of Obama’s unconstitutional schemes to undermine the 2nd Amendment. And how could the combined might and authority of the executive branch be prevented from exploiting the terms of this document in a federal assault on the right to keep and bear arms? The Reid Court wrote that “…an international accord that is inconsistent with the U.S. Constitution is void under domestic U.S. law, the same as any other federal law in conflict with the Constitution.” But if Barack Obama was willing to inflict the unconstitutional terms of a treaty on the American people, he would certainly be willing to ignore any Court ruling that sought to prevent it. Though Congress has the authority to nullify a treaty legislatively and federal courts have the power to overturn any unconstitutional terms, the American public has learned that neither of these institutions can be trusted with the defense of the Constitution or the rights it secures. Should Barack Obama win re-election, it will be up to the people to defend their 2nd Amendment rights. And that could make for a very messy affair.